Recent studies are displaying a drop in the ranks of Irish speaking individuals around the World. While the use of Irish Gaelic is declining, we can’t say for sure by how much the numbers of Irish speakers are declining. Why? Because those studies primarily focus Ireland, but not the rest of the World, and as far as we know, there are a lot of people who learn or want to learn Irish all over the globe. Even more, these people are organising their own Irish events to help others learn the Irish language. For example, did you know that in many big cities of the United States (and some other places over the World) people organise Irish language immersion weekends? These events take place yearly or every couple of months – depending on the Irish-speaking population in that area. Irish language Immersion Weekends help you learn Irish Gaelic and give you opportunities to practice the language. It’s one thing to learn at home, by yourself, and it’s something else to have a conversation with other Irish-speaking people. The best things about these immersion weekends it’s that you don’t have to be a fluent speaker. You’re more than welcome to come to the event to learn more about the Irish language and culture. 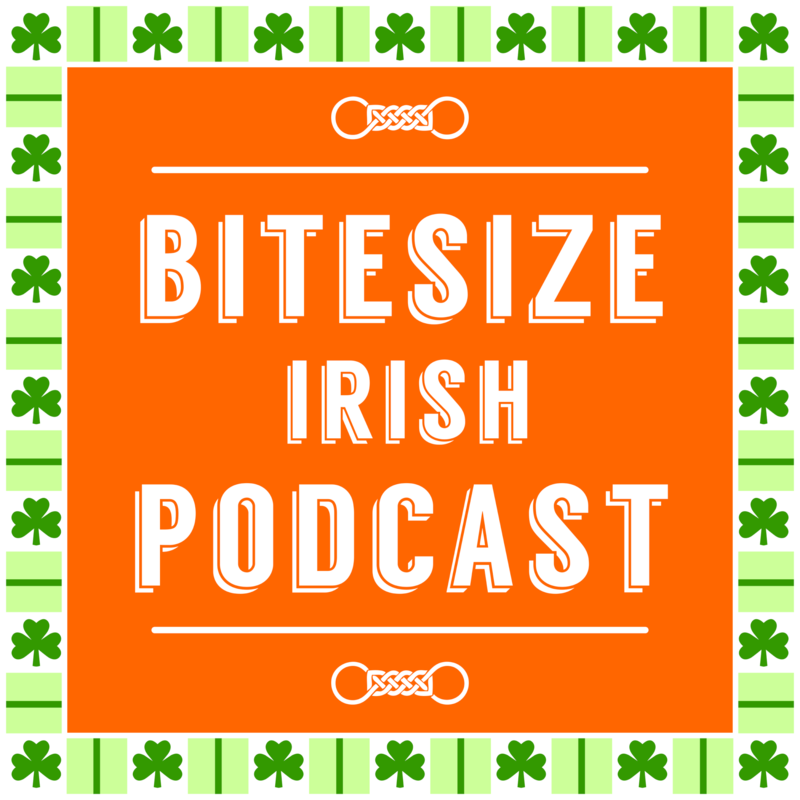 In this rebroadcast of the Bitesize Irish Gaelic Podcast – episode 21st, Eoin from Bitesize talks to Mara Bernstein, who doesn’t have a drop of Irish blood in her. That didn’t stop her from learning and promoting the Irish language as one of the main organisers of the Bloomington, Indiana Irish Language Immersion Weekend. From what we found out, there’s a similar event taking place in 2018. 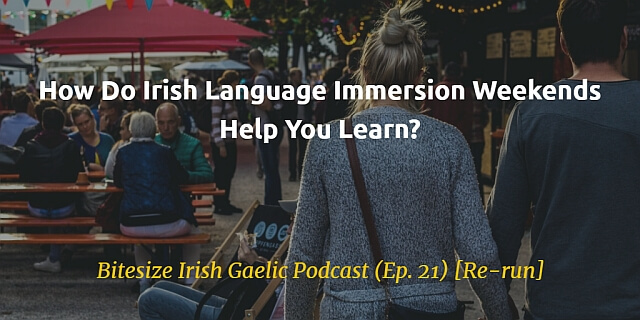 Listen to the re-run of the 21st Bitesize Irish Gaelic Podcast episode and learn how attending an Irish language Immersion Weekend can help you learn and identify with your Irish heritage.